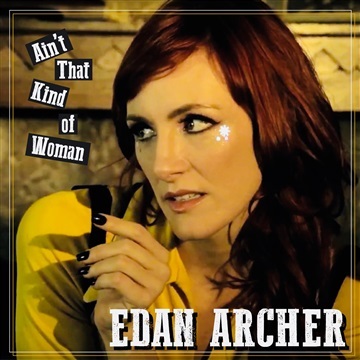 "Ain't That Kind Of Woman"
On her 2016 debut EP Cruel Mother, Edan Archer’s voice rises from the Everglades, sultry as sweet tea, crackling like heat lightning. All moonshine and honey, Archer combines rock and country with her roots in Appalachian folk- whether getting gritty with distorted dulcimer or casting spells with intimate ballads and fingerpicking, alternate tunings, and rich effects. Cruel Mother, co-produced by Archer and Fernando Perdomo (Jakob Dylan, Emitt Rhodes, Andy Pratt), with the title track produced by Cleaveland Jones, provides an escape to an alt-country world. The title track was named one of the Best Songs of 2016 by Miami New Times. In 2017, Archer performed throughout the southeast in support of the EP. She was also one of six artists chosen by Southwest Airlines to participate in their Live @35 series, wherein she performed on a flight at 35,000 and was featured in Billboard Magazine, which called one of “the most promising musical acts” from across the country and compared her to Margo Price. The Nashville-based songcrafter officially showcased at Americanafest 2017, and recently hit the studio to record her forthcoming album.